Passionate purpose is not about running yourself ragged. not about proving your worth through busyness (oh, love, you are more than worthy as you are!). 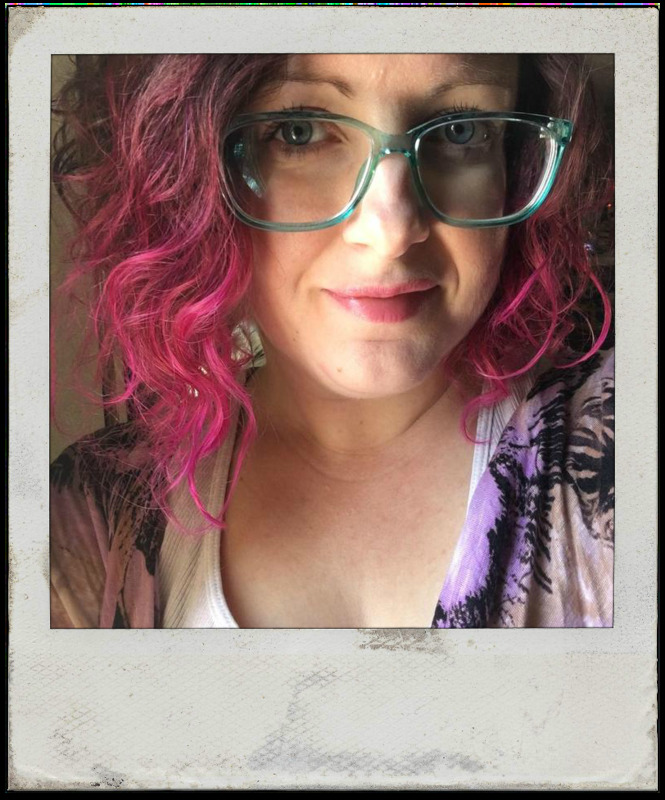 Passionate purpose is Not about launching a new career or moving cross-country or even making Any big, bold, dramatic changes at all--unless that's where you are called! 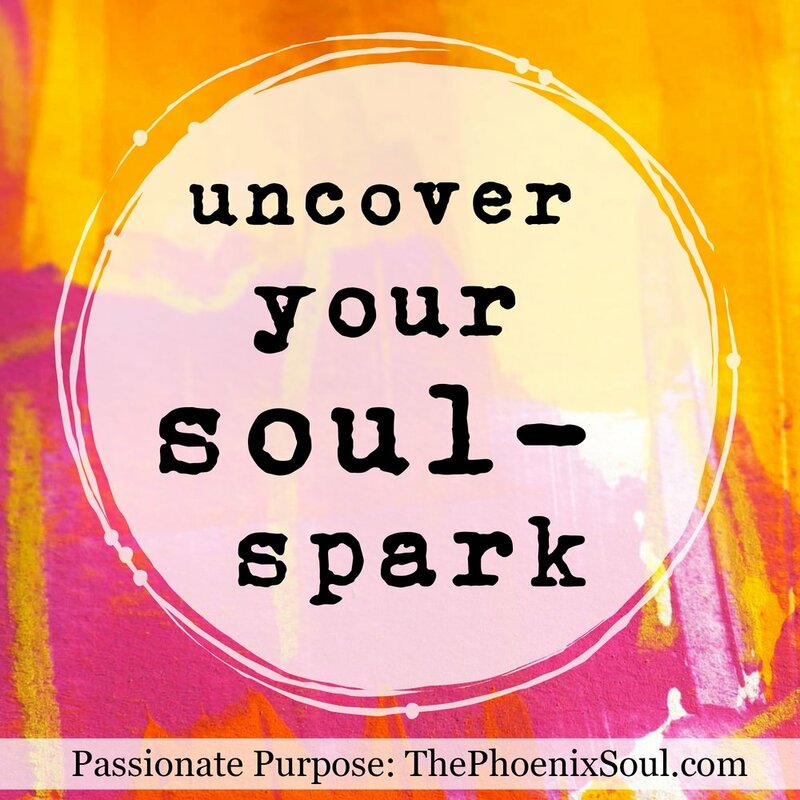 Passionate purpose is all about (re)finding your soul-spark. Fanning her flames until she burns bright and true. Walking (running, stumbling, dancing-anyway) your unique path, and lighting.it.UP. 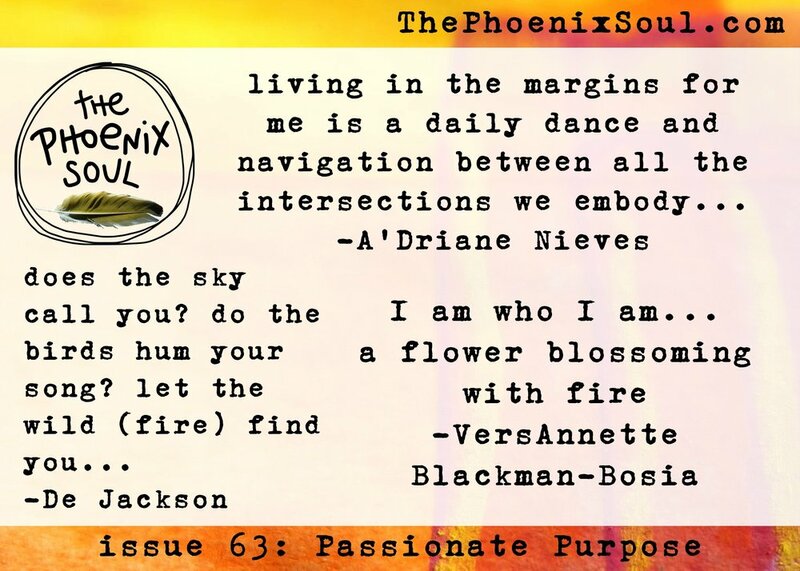 Passionate Purpose is about answering the fiery call of our wild phoenix souls, believing that when we live our most holy-howl-YES lives, we heal ourselves and we heal the world. 2017 issues: Vibrant Life. Wild Joy. Messy Grace. Inner Truth. 2018: Brave First Steps. Wholehearted Living. Passionate Purpose. 1. Amanda Fall, A'Driane Nieves, Veronica Funk, Shawnta Shicole Barnes. 2. Sherry Kay Anderson, Maureen Helms Blake, De Jackson, suzanne l. vinson. 3. Nolwenn Petitbois, Melissa Fernandez, Kyeli Smith, VersAnnette Blackman-Bosia. 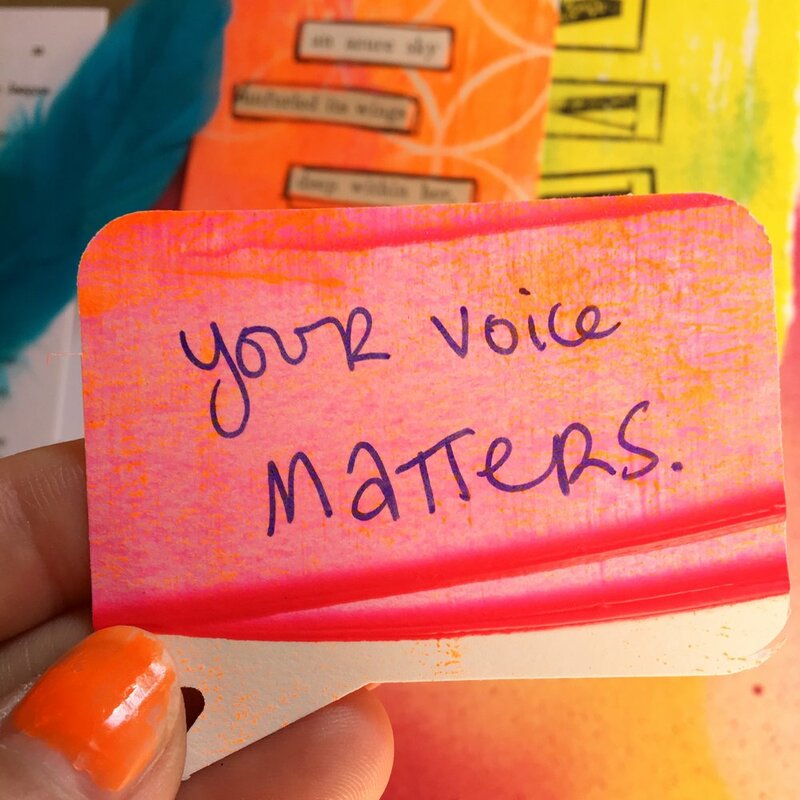 Whether your passion* is seemingly small and simple, or big and bold, it’s yours–your own soul-calling. That’s what matters. Trusting that our deep desires align with what the world needs is a potent tool for creating ripples of good. We all have a part in lighting up this weary and sometimes dark place. Pursuing our passionate purpose–what we are born to do–is a balm for our beautiful, bruised world. This is where change begins. Where healing transforms, from inner revelation to outer revolution. 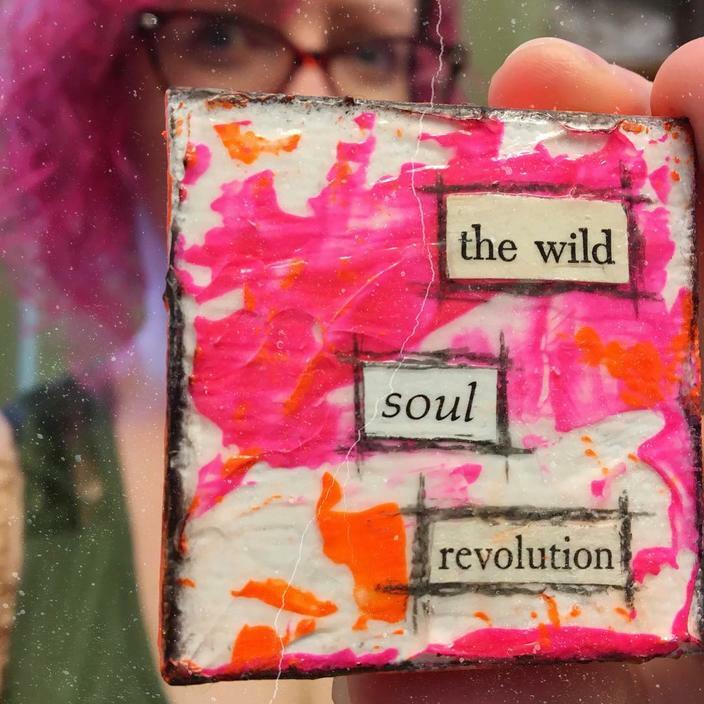 We are on this planet for a reason: to love (with grit and truth), to live true to our souls, to tear down oppressive systems, to throw away worn-out self-doubt and embrace instead our collective worth. This is why we’re here. Step into the circle, where we celebrate both our individuality and our oneness as a soul-family. Let's find our unique paths & LIGHT THEM UP! * don't know your passion(s)? Don't worry, phoenix, we got you! Join us for soul-stirring prompts that guide you in gentle but fierce exploration of YOUR personal pathways. Does the sky call you? Do the birds hum your song?